Still working over the holidays? Have no fear, our Christmas Carollers are here! *Demand will be high and availability will be limited to the Central Business District area only. 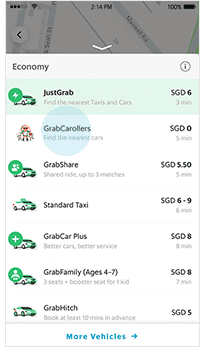 Launch your Grab app between 1 – 5pm on 20 Dec. 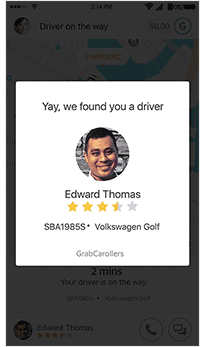 Select ‘GrabCarollers’ as the transportation type. 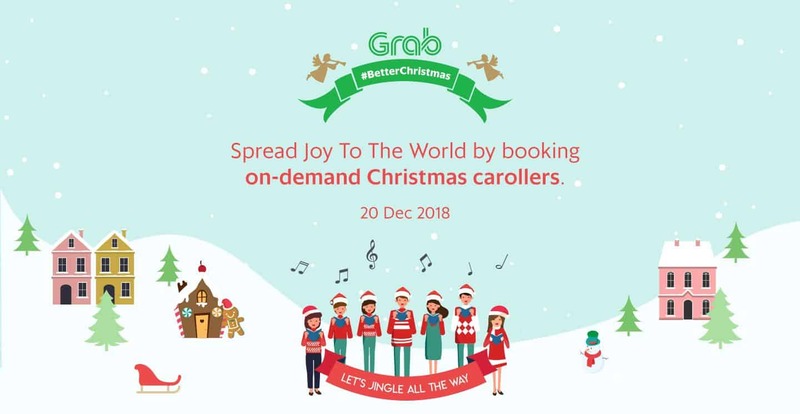 Book your GrabCarollers for FREE. If there’s a group of carollers near your location, they’ll be sent over to you within minutes! Pro tip: Before you request carolers to your office, please make sure your boss isn’t a grinch and your office building management can handle the holiday magic! 2. You should be physically present in the requested location before booking GrabCarollers. 3. If we are unable to enter the building for various reasons, we will have to cancel the booking after a grace period of 10 minutes, so that other people can enjoy GrabCarollers on demand! 4. All successful bookings include a four (4) person choir singing up to three Christmas carols. 5. Your choir will meet you at the first point of entry to your requested location. Kindly alert security if necessary. 6. To get you in the holiday spirit and add some holiday cheer, we are giving you this on-Demand experience for FREE! GrabRewards catalogue for 24/7 tunes all month. A: The GrabCarollers team is our talented Grabbers who genuinely wants to delight our customers by spreading the holiday cheer. Q: Can they also perform in another floor of our office? A: No. We can only perform at 1 location within the office. 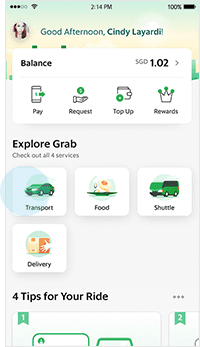 Q: I tried to book GrabCarollers but I couldn’t get any, why is that? 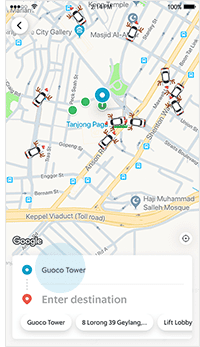 A: Sorry, this is because the demand might be high and limited availability in CBD area only. Q: Do i need to tip them? A: No, just ‘Merry Christmas’ wishes and appreciation will do the job. Q: Can i book the service twice? A: No. 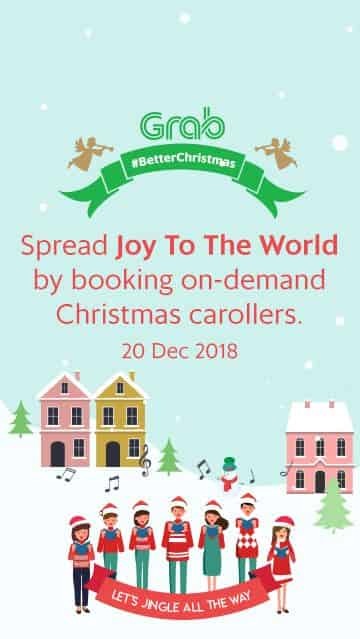 We would appreciate if you can give others an opportunity to enjoy GrabCarollers on demand too.